Crashing waves, bright palms casting shadows on white sands – this is how most people imagine summer. Not everyone, however, is fortunate enough to live near a beach, or have enough time to travel to a tropical locale every year. The solution to this problem is to re-imagine summer into something more diverse. 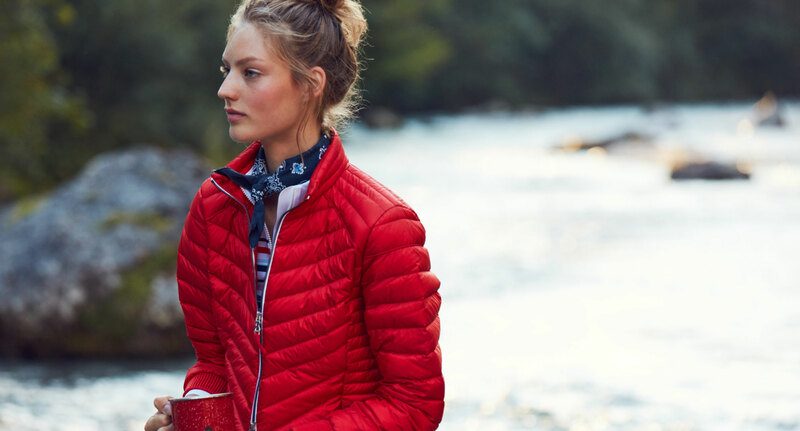 This season, the designers from Bogner Fire + Ice found themselves inspired by inland waters, and the opportunities they provide: river rafting, stand-up paddling and more. They designed pieces with a classic summer aesthetic, featuring palms and tropical prints, which are functionally suited for freshwater escapes as well as the beach. Freshwater summer escapes demand swimwear that’s suited for a high activity level, and a somewhat more flexible temperature range. The new Fire + Ice summer swimwear is based on classic wetsuit and surf-wear materials, but with more relaxed bathing suit cuts. Smart, fast-drying over-layers are meant to keep you warm and protect your skin from the sun while you’re on the water. When the fun is over and it’s time to relax at the riverside campsite, light down jackets are ideal for keeping warm when things get cool after sundown. Never mind anymore if water splashes up during an exhilarating rafting ride across jumping whitewater rapids. Feel free to shed a layer and dive in for a dip when the water turns more serene. Don’t be afraid to put your back into it while paddling and break a sweat – the new Fire + Ice collection can handle all of it, and when things cool down at the end of the day, you’ll have exactly what you need to stay warm. This summer, Fire + Ice is redefining how we think of the season. Summer is no longer limited to the beach, but includes watersports and relaxation escapes of many different kinds.